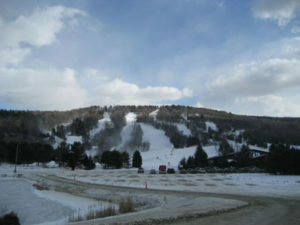 There are a lot of skiers and winter sports fans in Connecticut, many of whom are interested in our ideas for the best winter sports travel destinations in the world. Here are the four that we can personally vouch for as amazing spots for your next ski vacation. 1. Alagna Valesia in Italy is located close to the Italian Swiss border, near Turin, in the Alps. Although it is a very big resort and offers a wide variety of runs, both on and off-piste, this resort is not so very well known by tourists. The ski school has been teaching students since 1965 and is now functioning with 15 highly qualified ski teachers. Ski courses and lessons at any level – beginners and advanced – can be bought for prices starting with 34 Euros / 44 U.S. dollars per hour for private lessons. Alagna also offers a 10 Km / 6.2 miles long cross-country ski trail, which features an artificial snowfall installation. The price for these private lessons is a bit smaller, starting at 30 Euros / 39 U.S. dollars per hour. 2. Oukameden in Morocco is one of the very few places where people can do a very unusual activity for the African continent: ski. The resort is located close to Marrakech, in the Atlas Mountains, and it offers 20 runs. The highest point is located at 3273 meters / 10,700 feet above the sea level, and while being there it will be very hard to believe that you are actually in a subtropical area on the globe. Skiing can be done starting in January, until March or April. You can rent skis and boots or even take ski classes while being there. In addition to this, there are four good hotels that you can choose from. 3. Arc 1950 offers some of the most beautiful ski resorts in France: it includes several resorts that are located between 810 meters / 2,650 feet and 3800 meters / 12,500 feet altitude. Each one of the resorts’ names has a direct connection with its altitude; you will see names like Arc 1600, Arc 1950, and Arc 2000. Every resort has its particular offer for the tourists, no matter if we are talking about snowboarding or skiing. Arc 1950 is the most recently built resort. It is surrounded by pine trees and offers easy access to the slopes, which are designed for all kinds of skiers or boarders, be them beginners or advanced. The resort is a luxury one, being built in the traditional Savoyard style; the comfort and relaxation it provides its tourists have made them return over and over. The centre of the resort is the perfect walking area for families with kids, as cars are not allowed in this pedestrian friendly area. No matter what hotel you choose, you will have access to a swimming pool, jacuzzi, sauna, steam room, fitness room and many other such facilities that are meant to turn your holiday into a memorable experience. 4. South Lake Tahoe boasts with its 40 feet of snow and 300 days of sun per year, thus offering optimal conditions for snowboarding or skiing. There are acres of backcountry trails and numerous slopes, as well as many equipment renting locations. Over the years, millions of dollars have been invested in snowboarding half pipes, snowboarding parks and snowboard facilities; this is one of the main reasons why many international competitions are organized in the regions. Around the lake there are numerous resorts which were created especially for families, as well as for beginners and advanced skiers or boarders. The offer is very generous, so you will surely be able to find a place that suits you desires and budget.